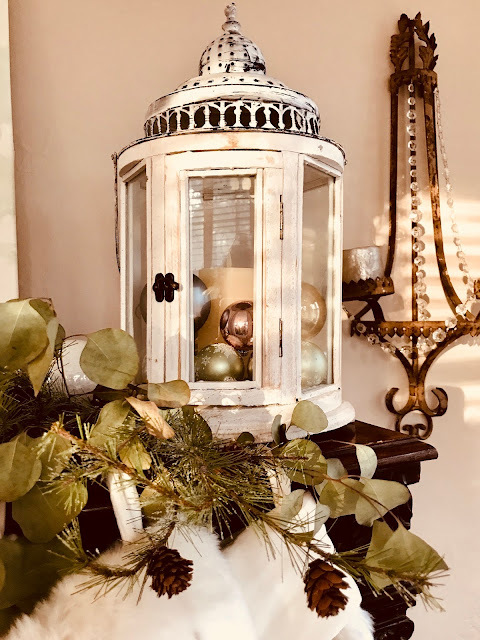 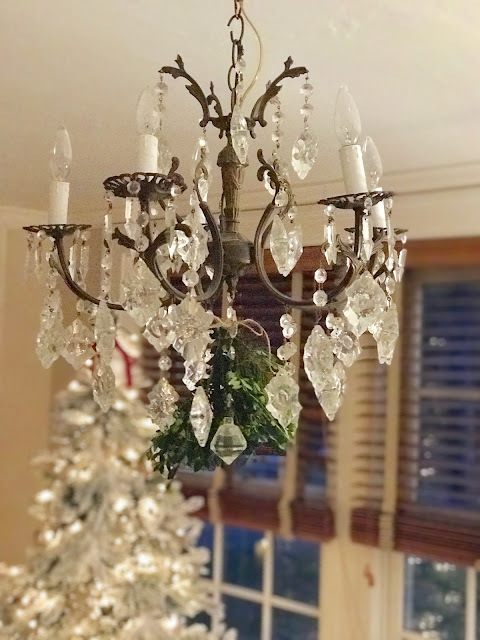 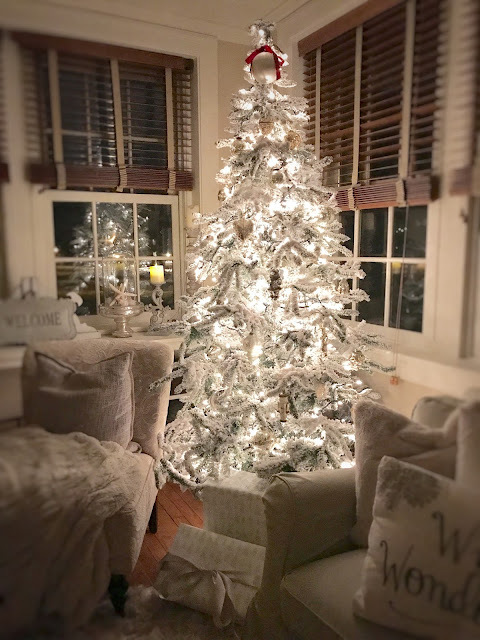 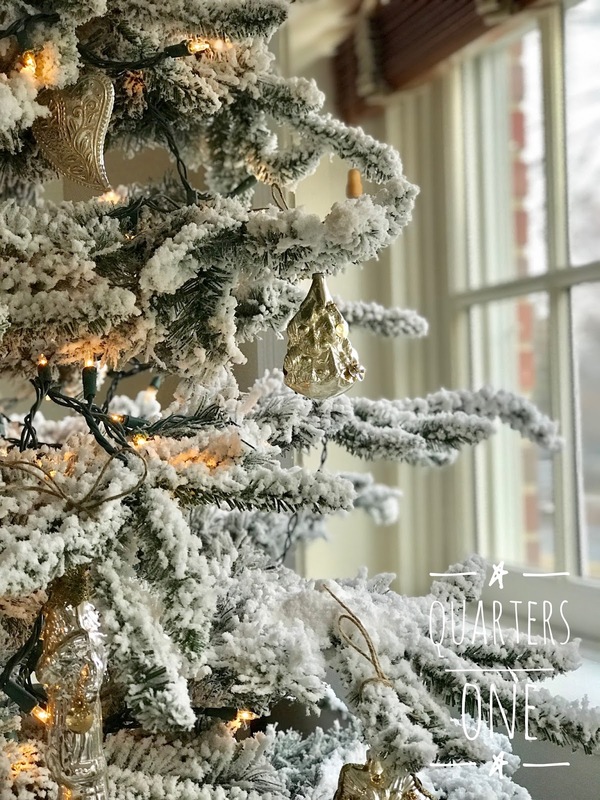 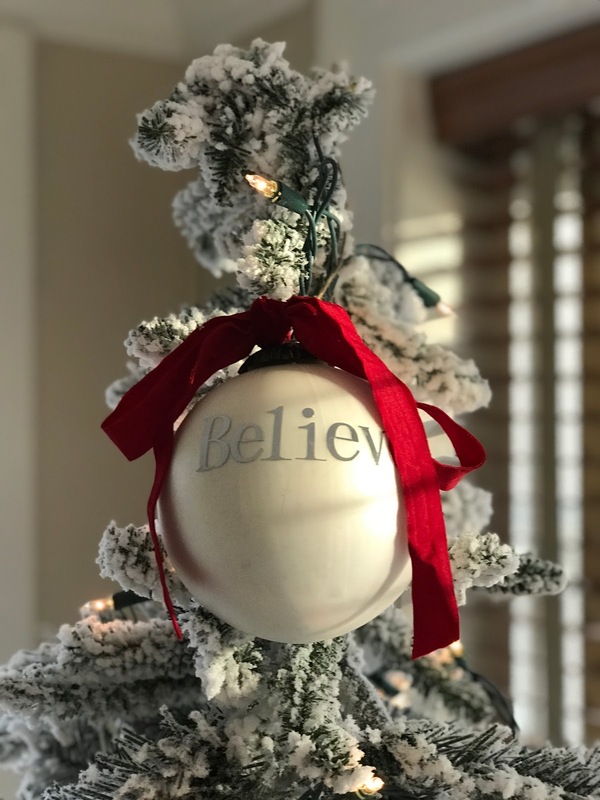 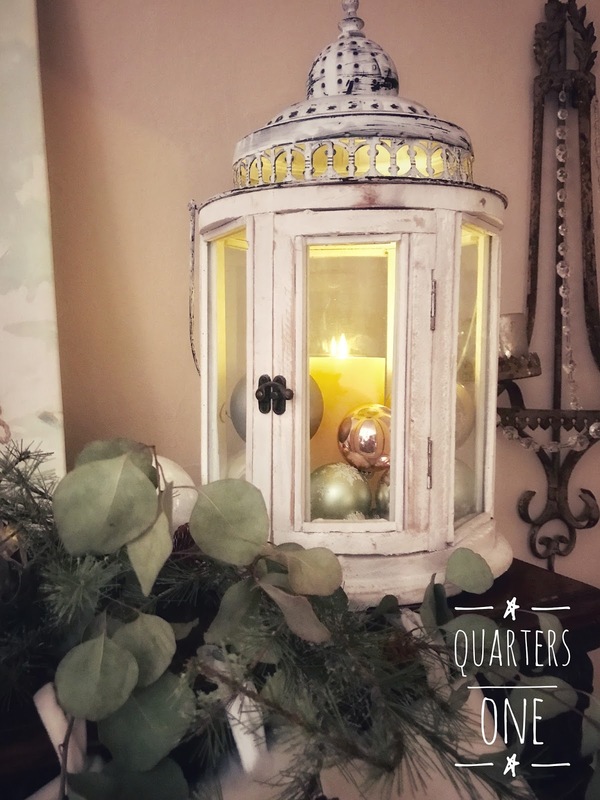 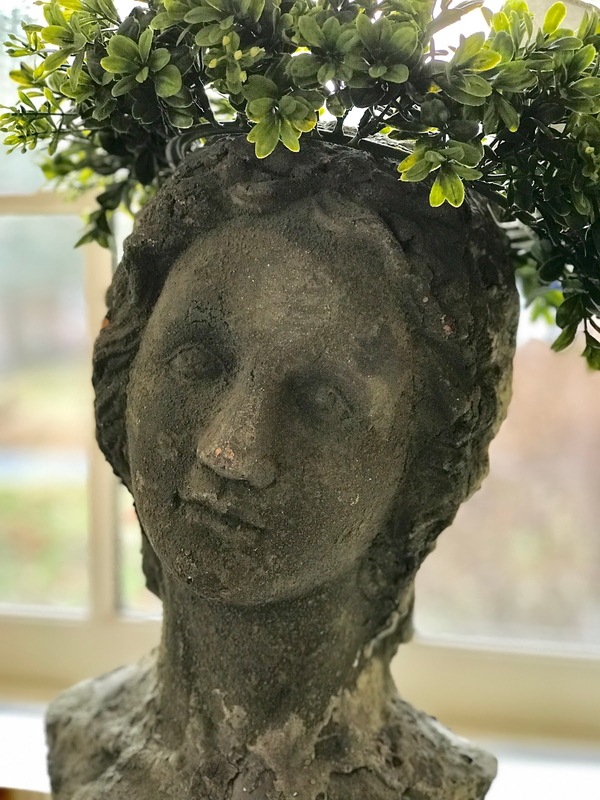 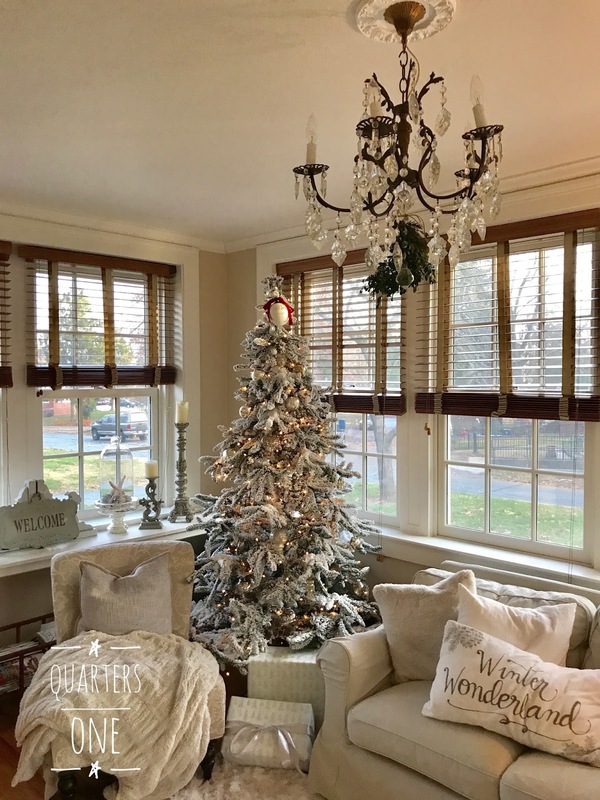 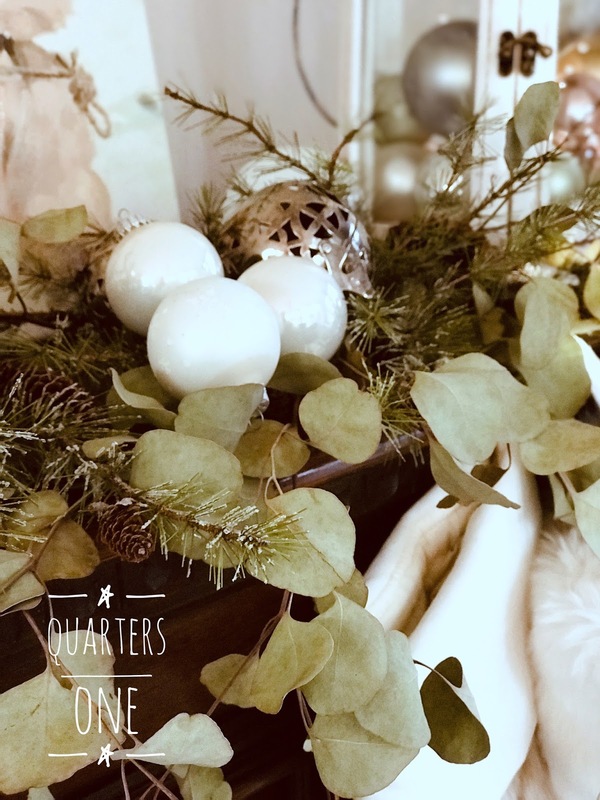 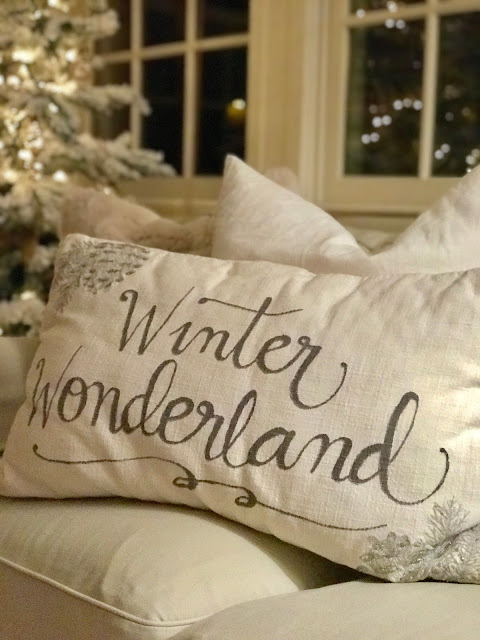 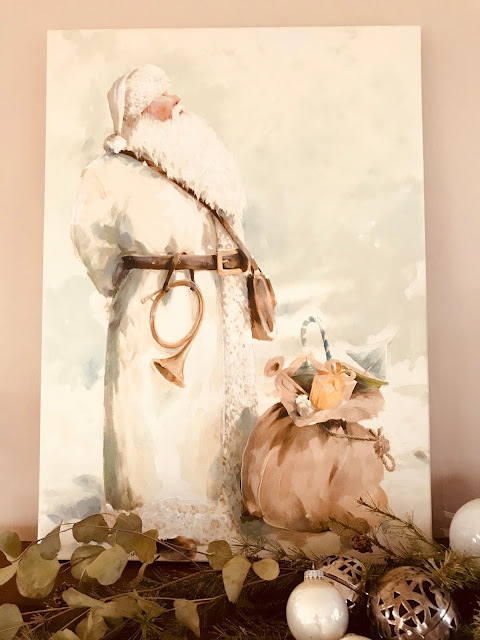 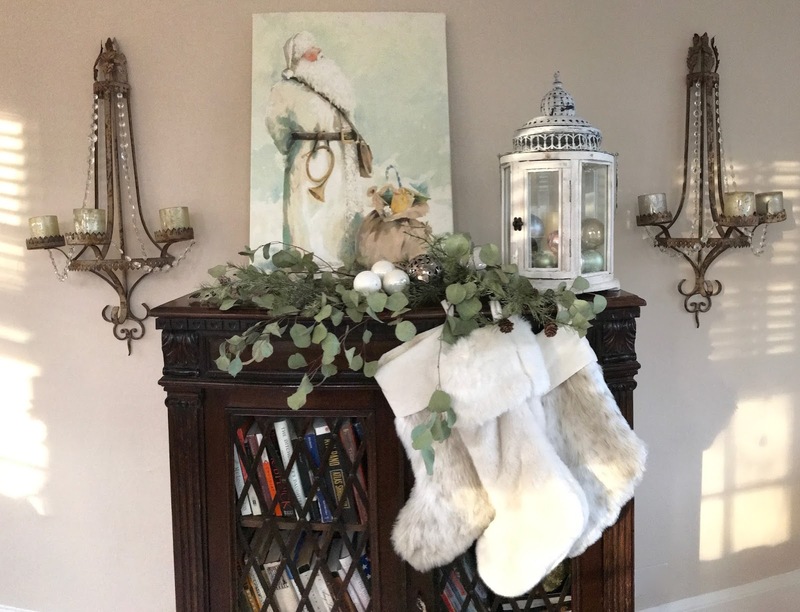 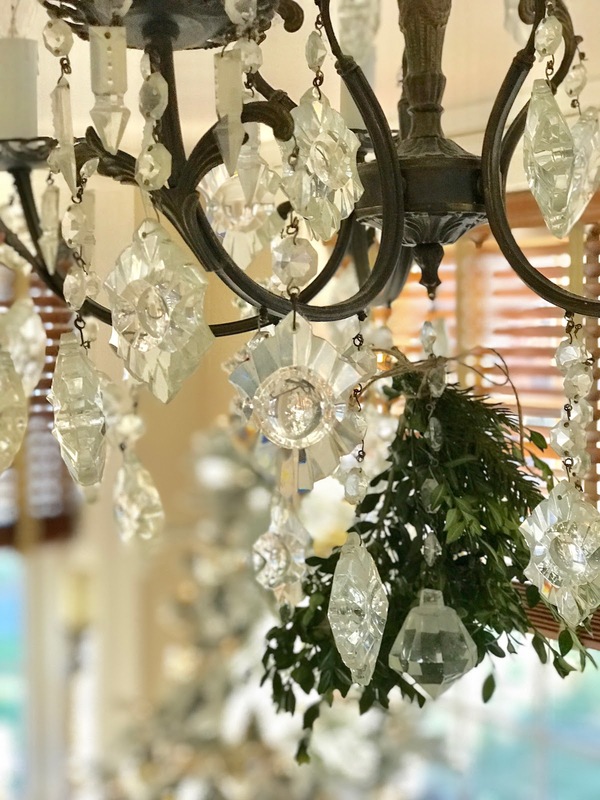 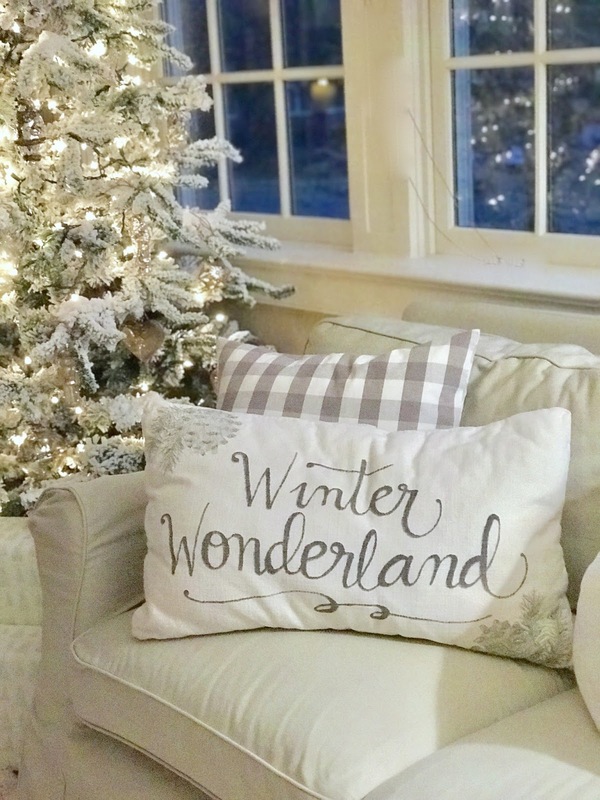 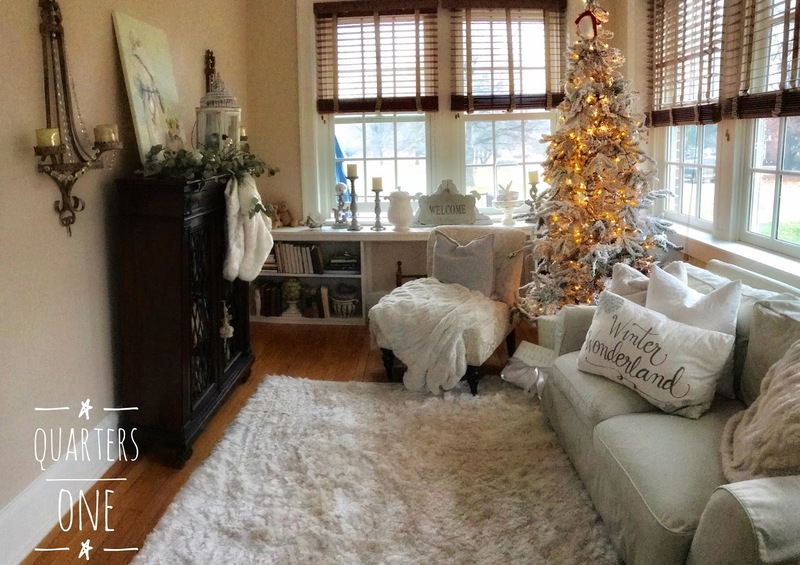 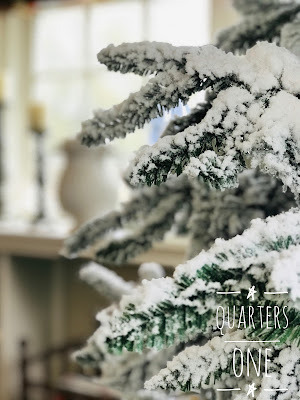 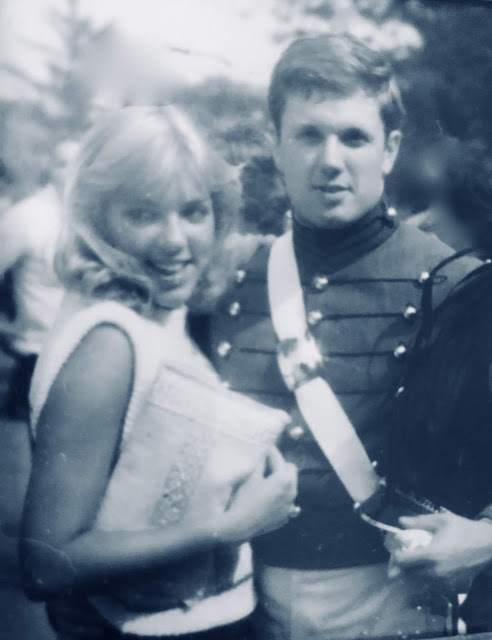 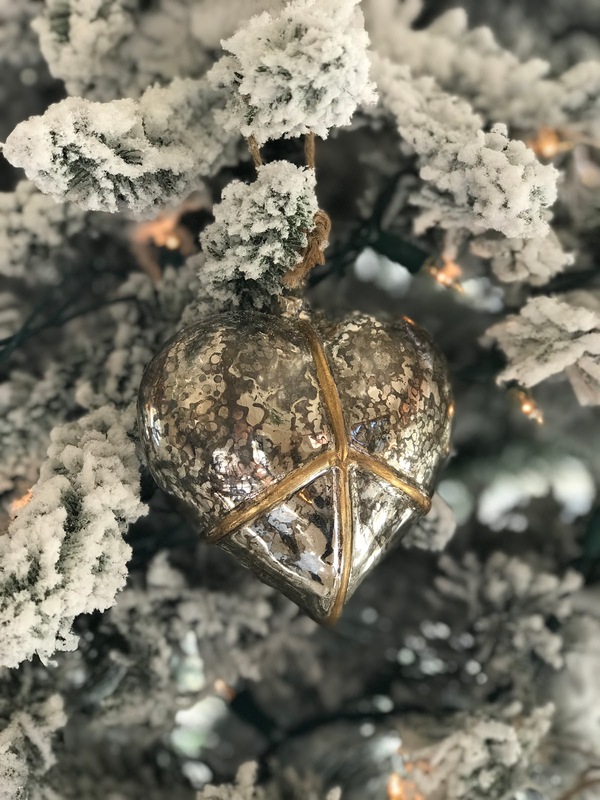 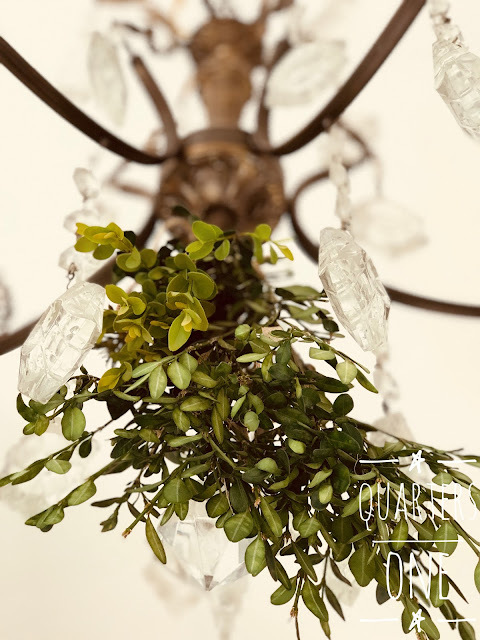 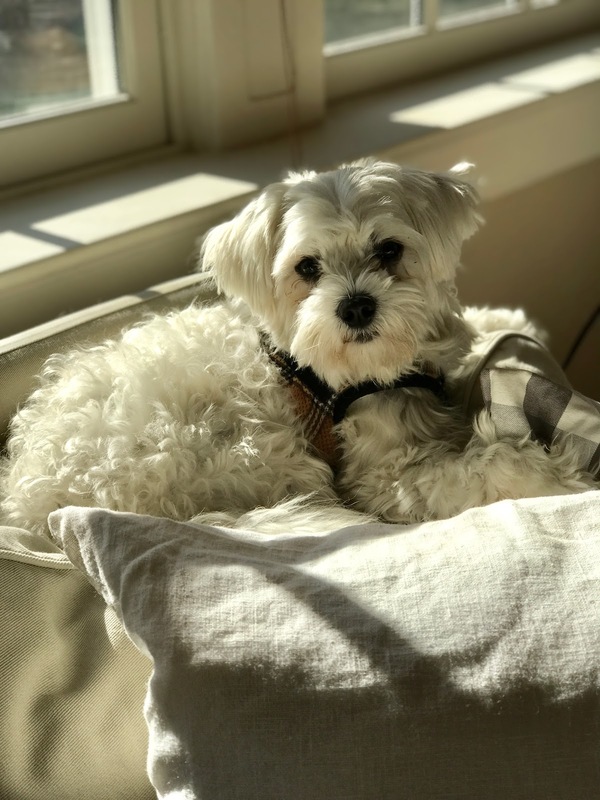 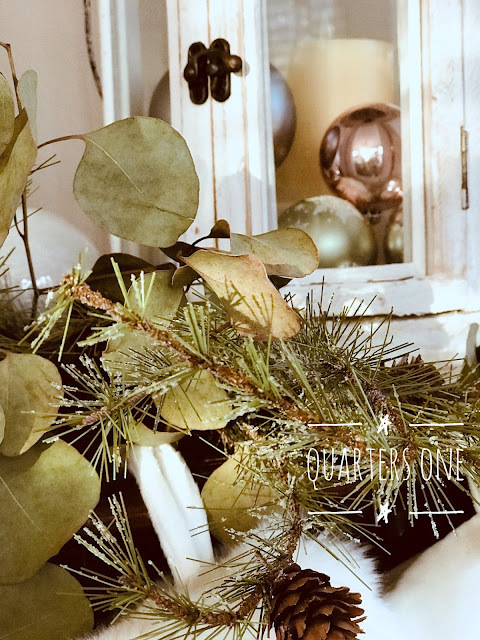 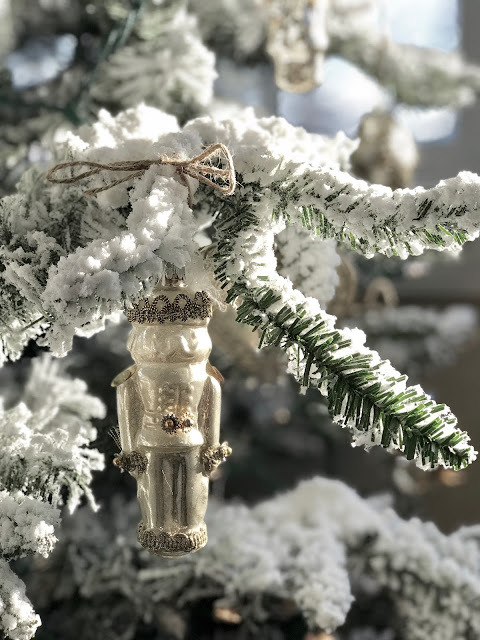 Since this will be our first, and only, Christmas in these quarters I decided to share over a series of blogs and use more photos and less "talking"! The first room I want to share is our sunroom. 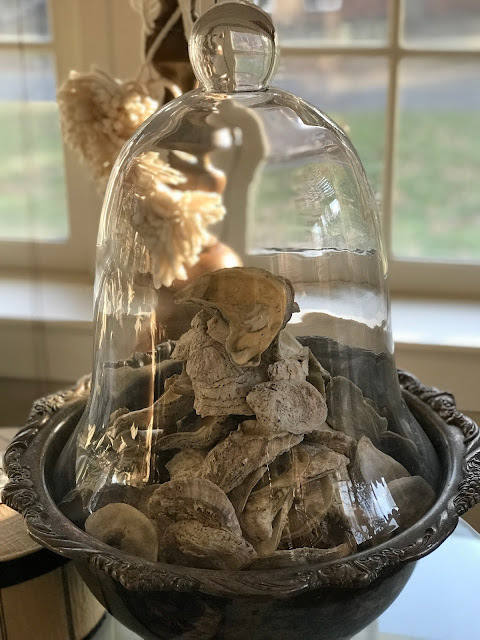 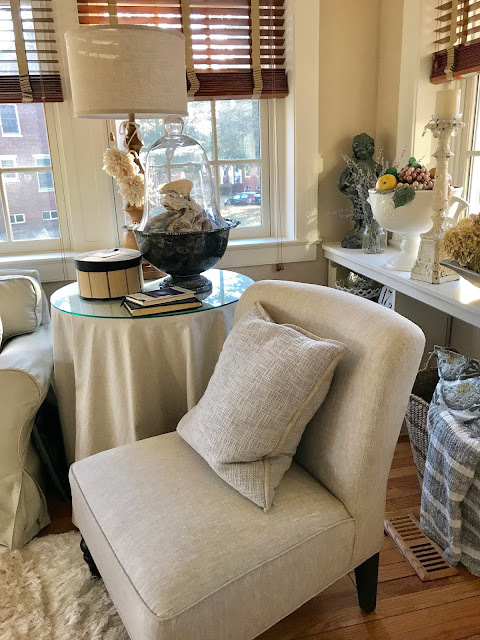 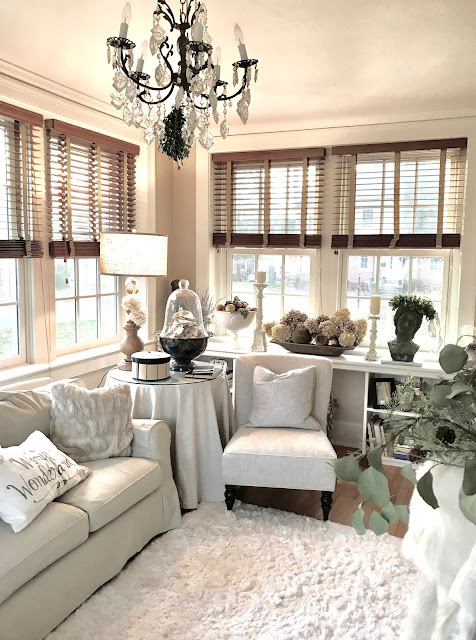 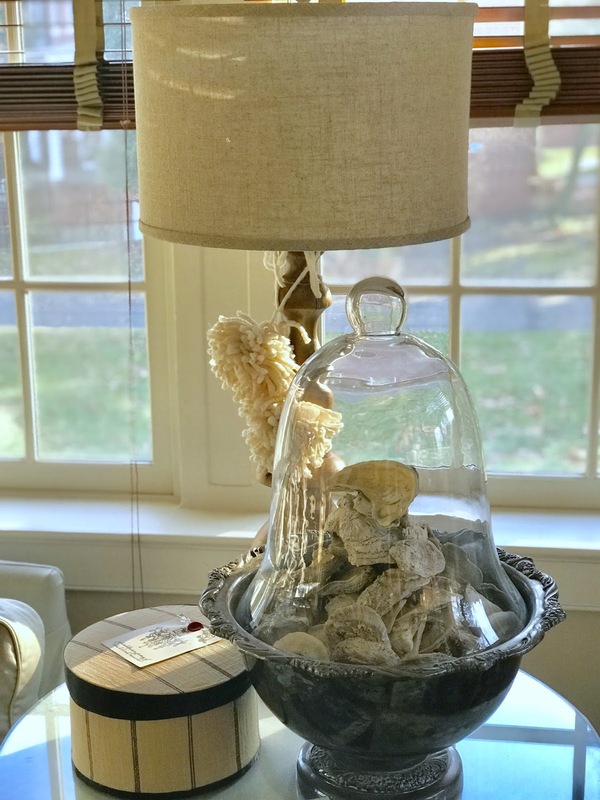 My favorite room in the house was inspired by a bowl of oyster shells! 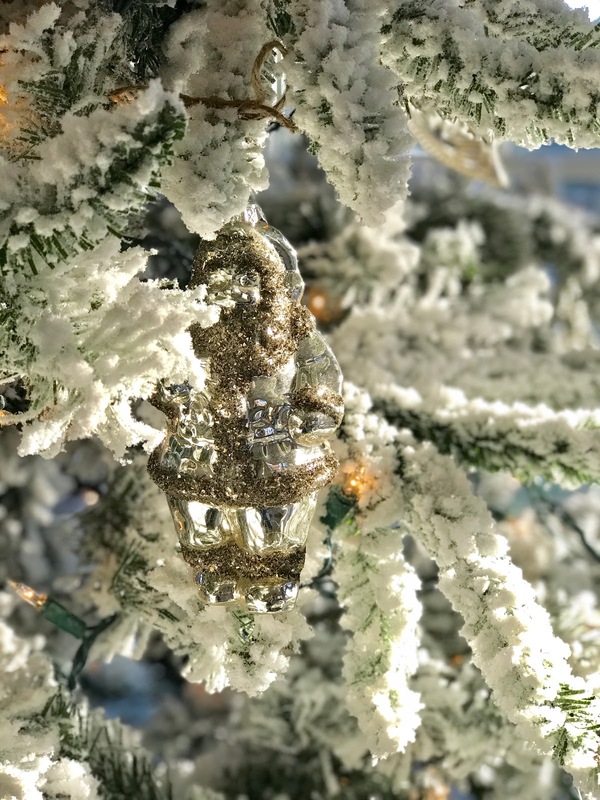 Faux mercury glass ornaments from Stuttgart, Germany adorne this tree, our family room tree will remain untrimmed since my son in law is deployed this Christmas. 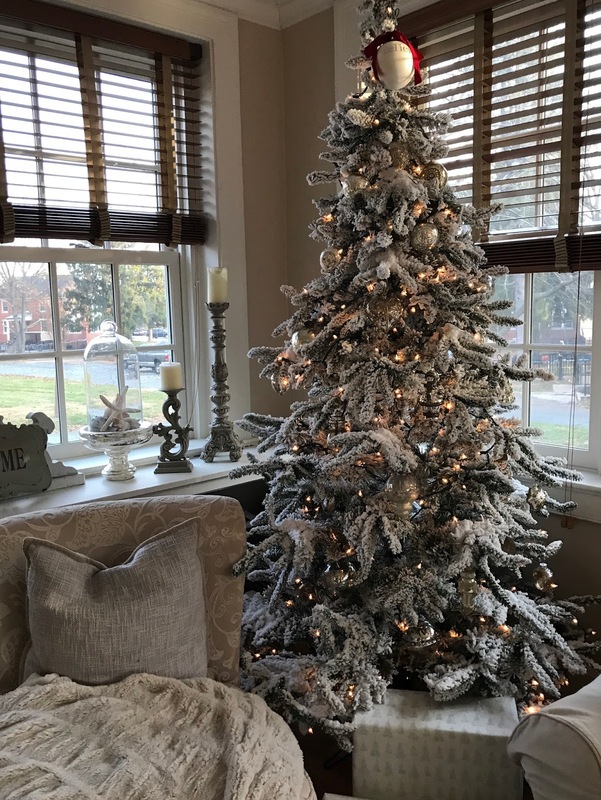 and this room gets just a touch at the top of the tree. 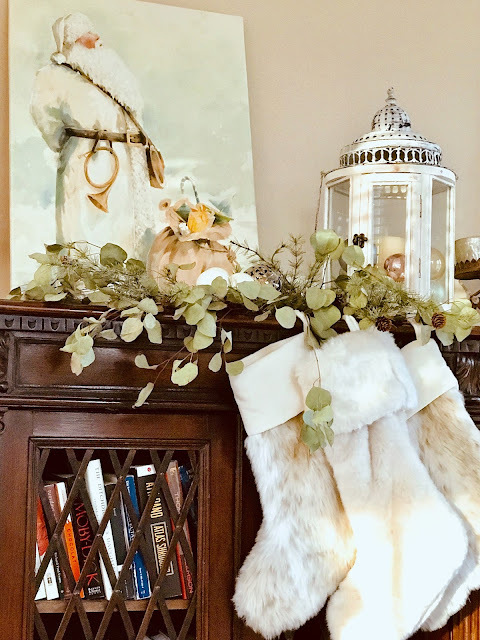 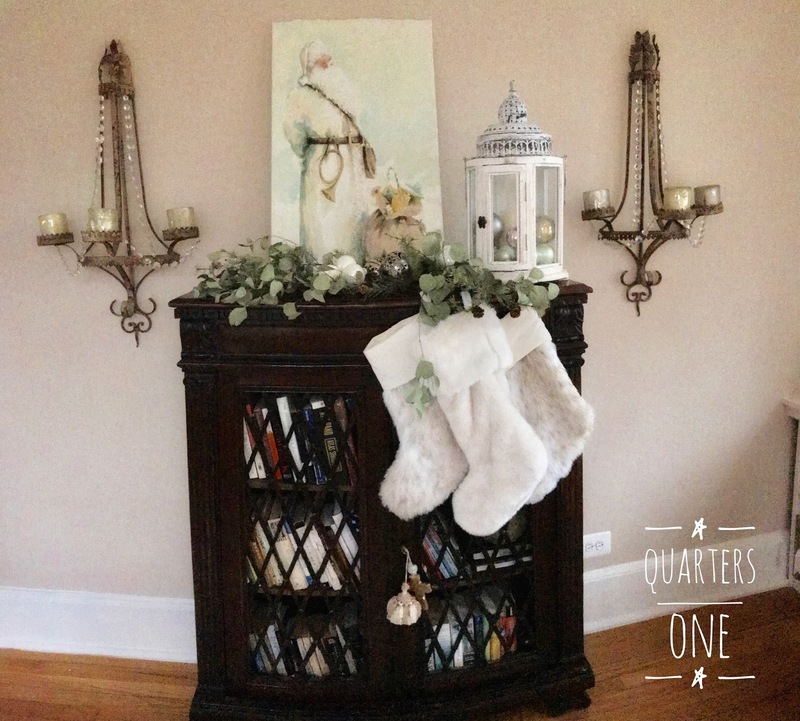 I decorated this old bookcase like a mantle since we have only one fireplace in our current quarters. 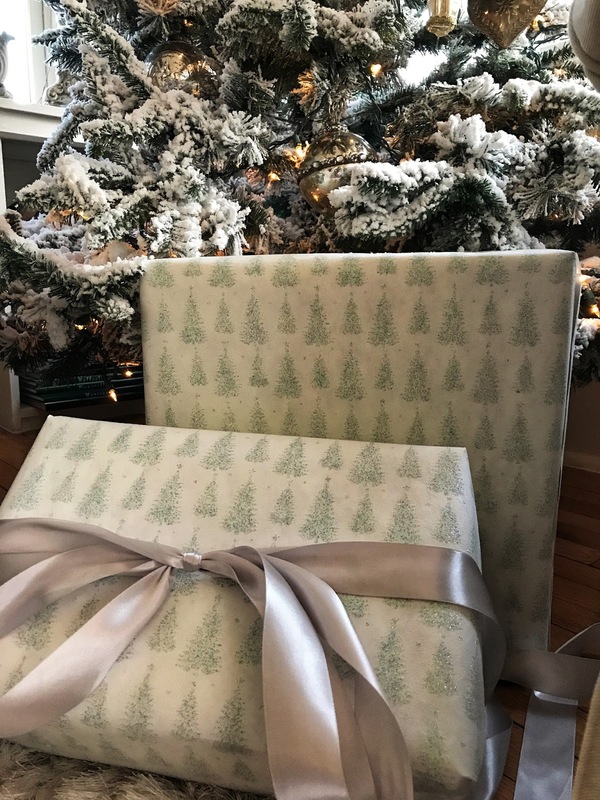 Hope you enjoyed this quiet tour! 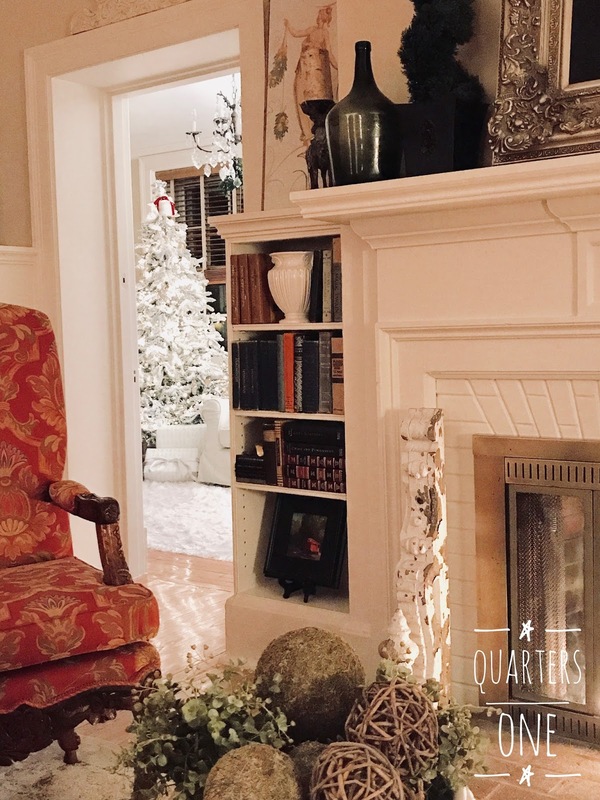 Come back to see more of Quarters One and don't forget to follow us on Facebook and Instagram!